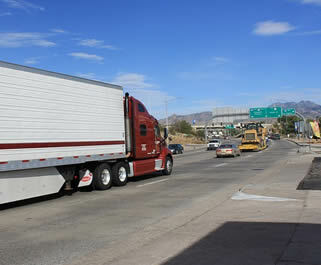 An Arizona truck driving license is required if you are planning to drive a commercial truck in the state. This is to regulate the types of drivers who are allowed to drive such vehicles and to make sure that they are fit to handle the job. It is not required for any applicant to undergo a particular truck driver training before applying for the license, but it will definitely be a great help especially before taking the written exam. The first thing that you have to learn about this license is that they are issued after you have acquired a Class C driver’s license. Before you will be given the actual truck driving license, you will have to apply for an instruction permit first. This is to assure that you will be ready to take the road test after passing the written exam. To request for the instruction permit, have a medical certificate issued by a certified or licensed physician first. You can request for the Medical Examiner Certificate at the DMV office in Arizona. Afterwards, ask for a schedule to take the written exams online. Wait for your schedule and then present your Social Security card when you get to the testing center. If you pass the written exams for the Arizona truck driving license, you will then be given an instruction permit that will last for about 6 months. You have to take the road test within this time period or you will have to undergo the written test again. You must be at least 18 years old when you apply for the tests and should have a legal residence in the United States. You should also show a valid driver’s license from Arizona in order to request for an Arizona CDL. Here are the other requirements that you will need to get an Arizona CDL. Fill out a CDL application form, have a valid Medical Certificate, pass the physical and visual exams, and present the necessary documents to the TSA for additional endorsements such as those for Hazardous Materials. This will require a criminal background check and you may get disqualified if you had been found to commit some disqualifying crimes in the past such as acts of terrorism, renunciation of US citizenship, and others. Your license, if you pass the road skills test, will be valid for 5 years in Arizona. 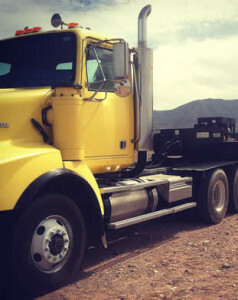 The fees vary depending on the type of Arizona truck driving license that you are applying for. For a Class A or B CDL it is $25; Class C is $12.50; and additional endorsements can be from $5 to $10. The renewal fees are from $10 to $15. It is important to renew your licenses at least 2 months before their expiration especially those with Hazardous Materials Endorsements since the criminal background check can last for up to 30 days. You also need to notify your local DMV office for any change of address within 10 days in order to change the address information on your license. Below are the available truck driving school programs you can find in the state of Arizona. To become licensed as a Class A driver you will need to pass the written CDL knowledge exam and driving skill test. Your training will teach you how to inspect your vehicle, couple tractor trailers, and drive a semi-truck. During your instruction you will practice driving in a variety of road conditions and practice specific skills. A few of these are braking, parking, turning, backing-up, and operating equipment. To qualify to take the tests you will need to be 18 years of age and have a current driver’s license from Arizona. Applicants will need to pass a vision test, physical exam, and have a criminal background test conducted. There are five additional endorsements that are required for those who want to be able to do things such as haul hazardous materials, carry passengers, or operate a tanker, double, or triple trailer. You can read more about getting a CDL in Arizona here. AIT has partnered with Swift Transportation and Werner Enterprises to help you find immediate work upon completion of your training and licensure. At Phoenix classes last 4 weeks and include 160 hours. They have partnered with DSW to help you find a trucking job after completing your instruction. Swift provides trainees the opportunity to learn how to become a CDL driver at their acedemy in 3 weeks. Upon completion you will have a job with Swift Transportation. American provides a Class A program that includes 160 hours of instruction with 2 weeks in the classroom, and 2 weeks on the road. They offer day, evening, and weekend classes. The Yuma commercial truck driving program consists of 310 hours of training that can take from 7.5 weeks full time to 15 weeks part time to complete. This in-depth program provides training for Class A, and all of yourl endorsements such as hazmat, tanker, doubles, triples, and passenger. Do you know of a CDL training company that is not shown on this list? If so we’d like to hear from you. Please submit the name and city the school is located in through our contact form located here.